Your work at the DMV is critical to our mission. Why? Because according to Donate Life America, 98 percent of registered donors join the donor registry through their local driver’s license office. 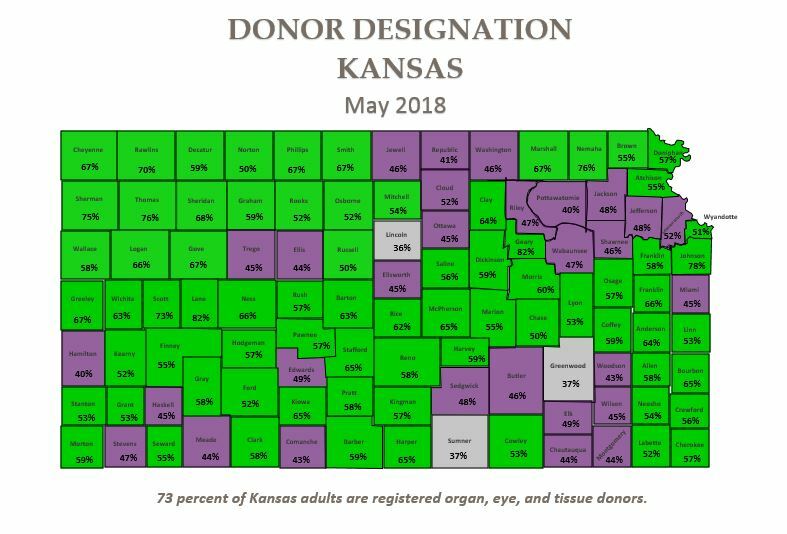 At Midwest Transplant Network, we value our partnerships with DMVs and work closely with the Kansas and Missouri Departments of Revenue to jointly increase the number of registered donors in each state. 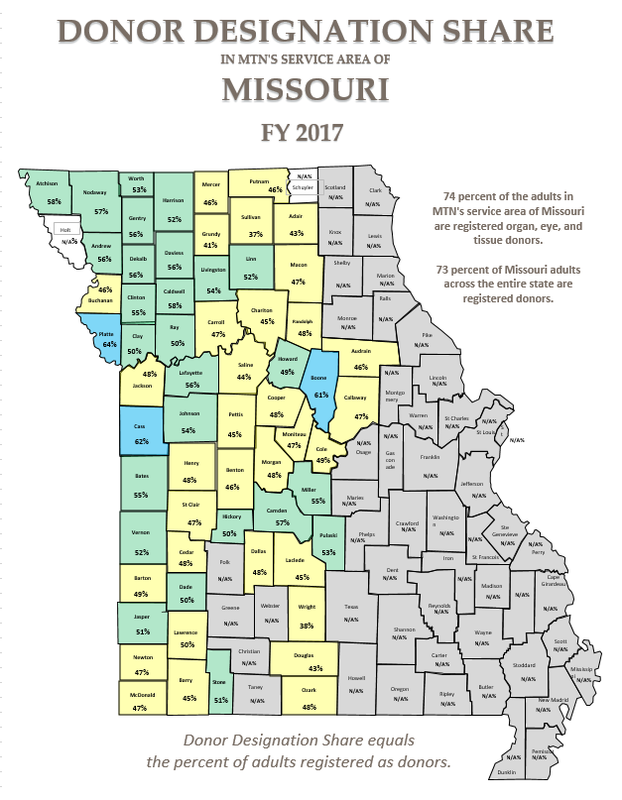 When individuals say “yes” to the state donor registry at the DMV, they may receive a donor symbol on their license or ID cards (in Missouri, registrants may opt out of the symbol). They will have their names placed in a confidential database that will be accessed only when the time comes to donate. 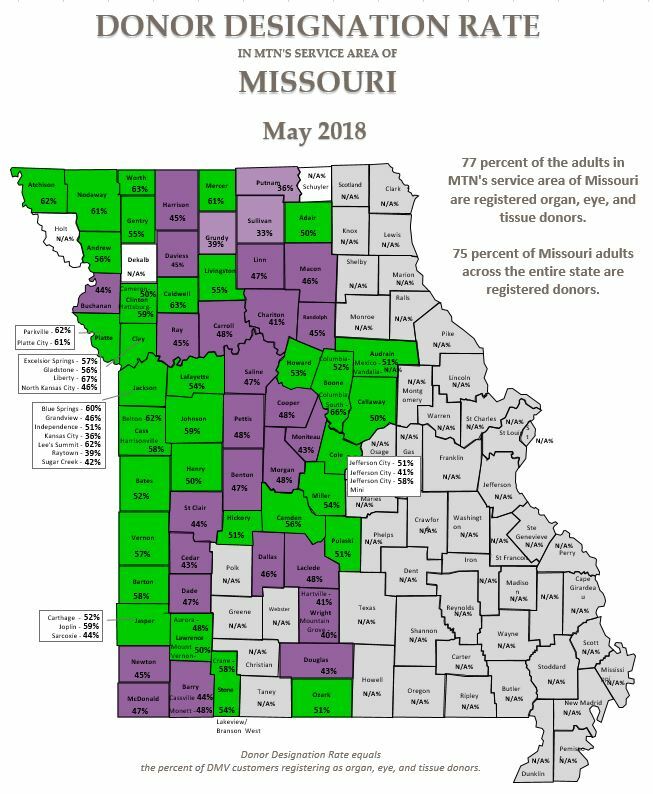 The organ and tissue donor registries of both Missouri and Kansas are First Person Authorization, which means any individual can join the registry, and no one can overturn that decision if the registered donor is age 18 or older. Request a program or contact us for more information about our partnership with local DMVs. View our General Education Guide or watch our General Education video for more information on general topics related to donation.